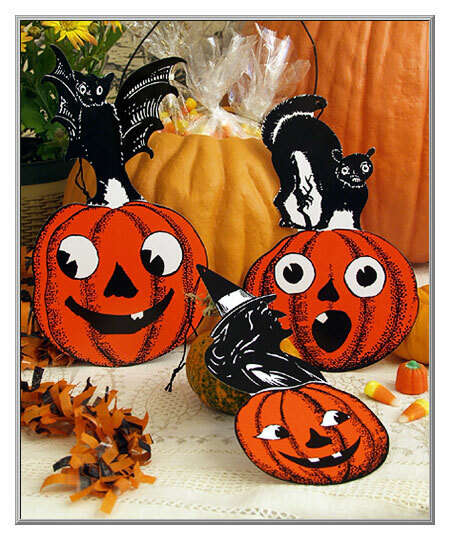 Whimsical old designs from Halloween past make these die-cuts a fun way to decorate with nostalgic flair. 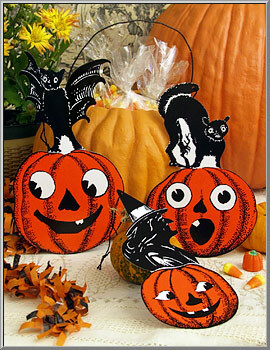 Made with black string hangers, they can be used as ornaments or as spooky decorations to hang in a window. 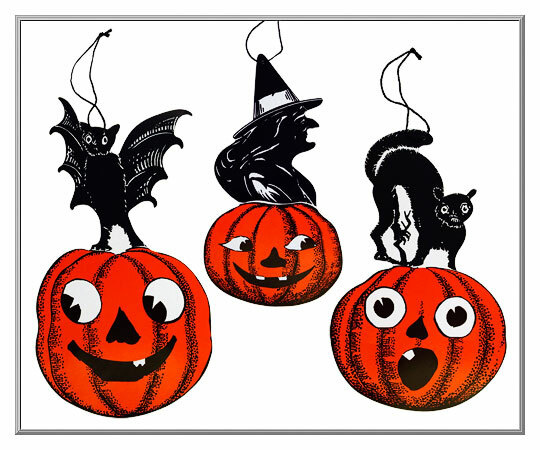 And because the backs of these colorfully-printed, glossy cardstock die-cuts are left blank, they are also nifty as uniquely eerie party invitations or greeting cards. 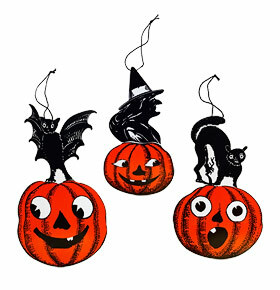 Sold as a set of three die-cuts. they are 8½", 6¾” and 7½" high.